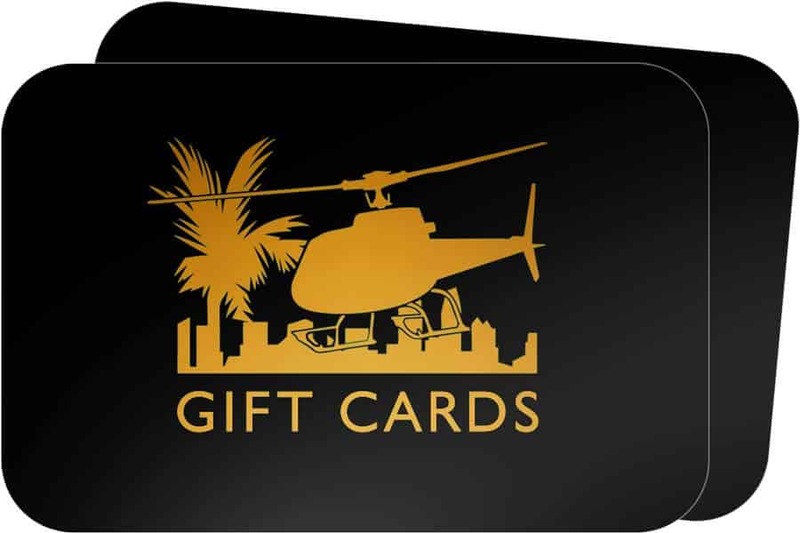 Let’s design a custom helicopter adventure. 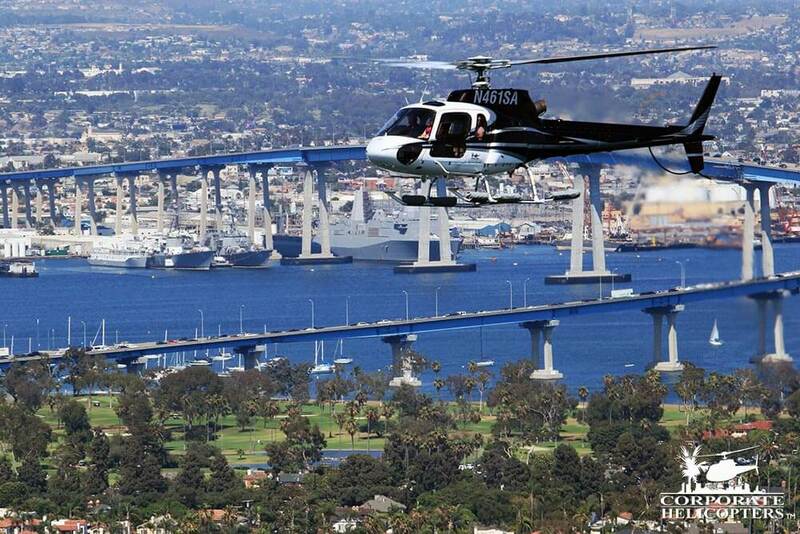 Plan a group helicopter tour of San Diego, or a group charter excursion to the wine country. Fly to Southern California or Baja, Mexico. 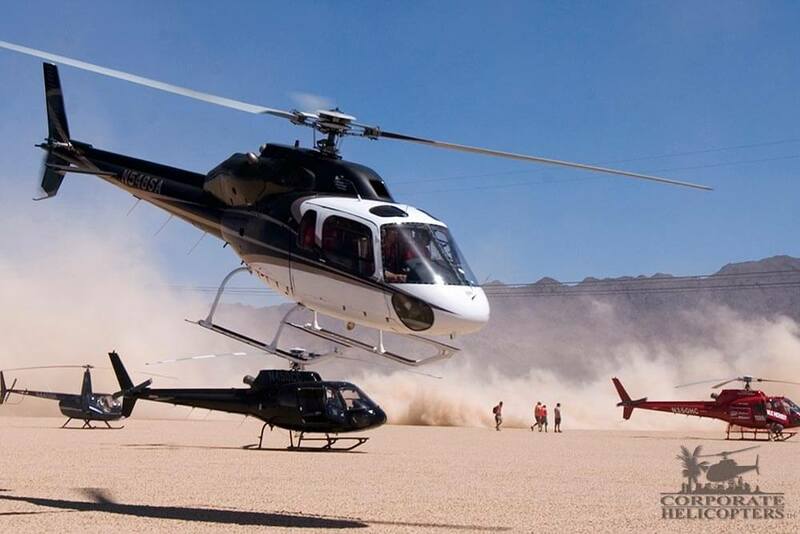 Corporate Helicopters offers you an extensive fleet of helicopters to accommodate large groups of people. Even parties of 30+ passengers can fly at the same time in a single group helicopter flight. Land on the USS Midway! 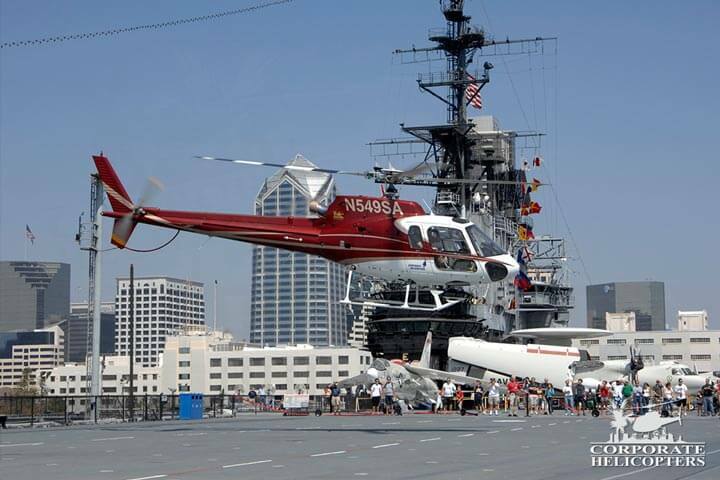 Have your VIP clients make a grand entrance to their event by landing aboard the USS Midway Aircraft Carrier Museum for an experience they are sure to remember. 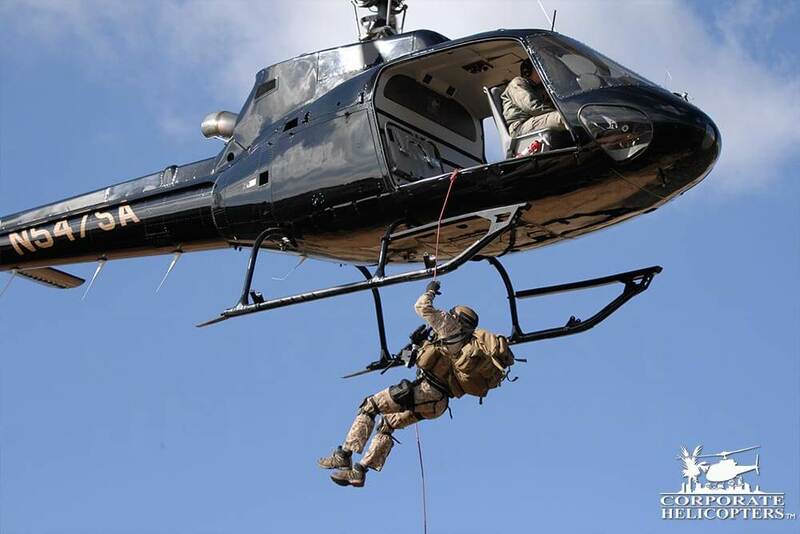 Or fly in a guest speaker in one of our helicopters to give that military feel. Corporate Helicopters has a variety of helicopters available to accommodate all of your guests. Try an aerial scavenger hunt. Work as a team to find San Diego’s best attractions and popular landmarks with this group activity. To find our city’s treasure, your team will have to follow clues and navigate using maps to guide their co-workers with clear and concise directions – while enjoying a bird’s-eye view of San Diego from a helicopter. Drop skydivers into your event! Kick off your next event by having Corporate Helicopters drop skydivers over your venue for a mesmerizing aerial show. Imagine jumpers descending into the festivities, delivering a special message to your surprised and amazed guests. Perfect for employee incentives, conference groups & large tour groups. …and more. The sky’s the limit. Tell us what you like and we will custom design a flight just for you and your guests. From private sunset flights where the sun will set twice to flying over the locations you live work or play, we will make the occasion special. While flying over exotic locations, many wedding proposals have been accepted in flight. 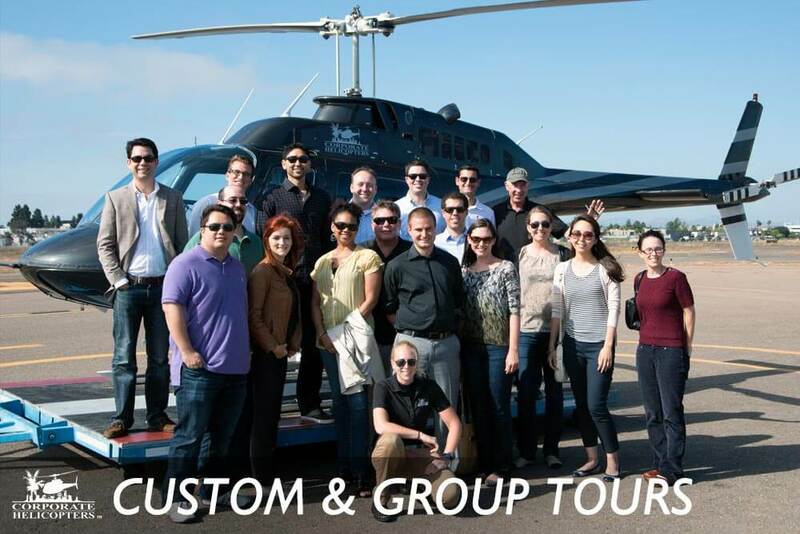 Corporate Helicopters works with meeting planners to make it easy to construct group tours that leave a lasting impact. 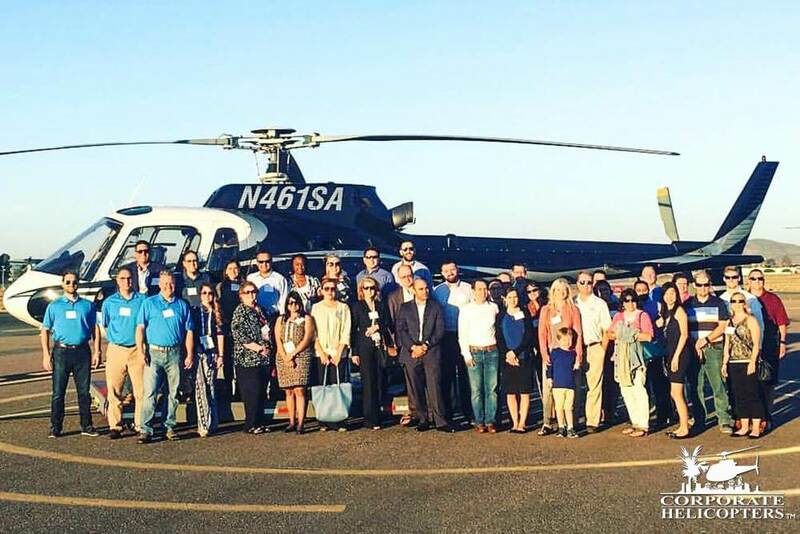 With multiple helicopter flights, we can meet your tour capacity needs. Corporate Helicopters is an FAA Certified Air Carrier, and is authorized to transport you to destinations for business or pleasure. Is your party or event so big you could hold it in an aircraft hangar? 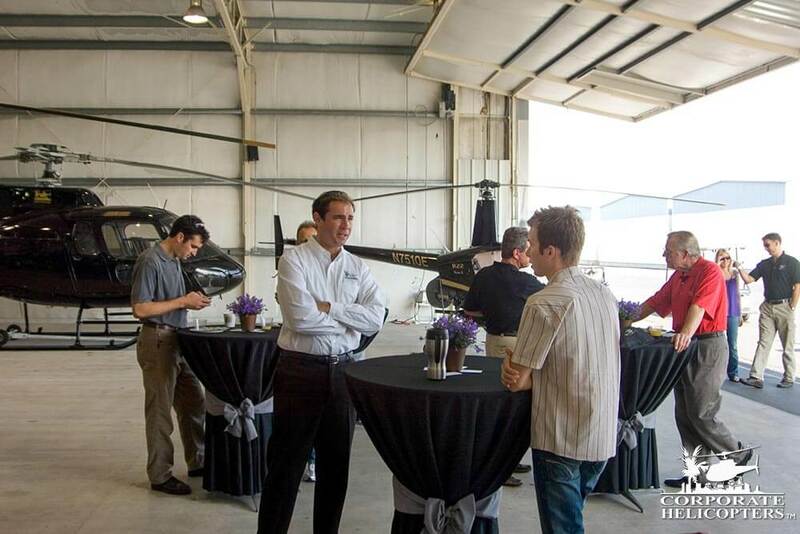 Our 3600 square-foot hangar is an incredible space for meetings, parties and more. Combine this with tours and multiple helicopters on display – and you’ve got something unique and unforgettable. We’ve done some incredible things over the years. 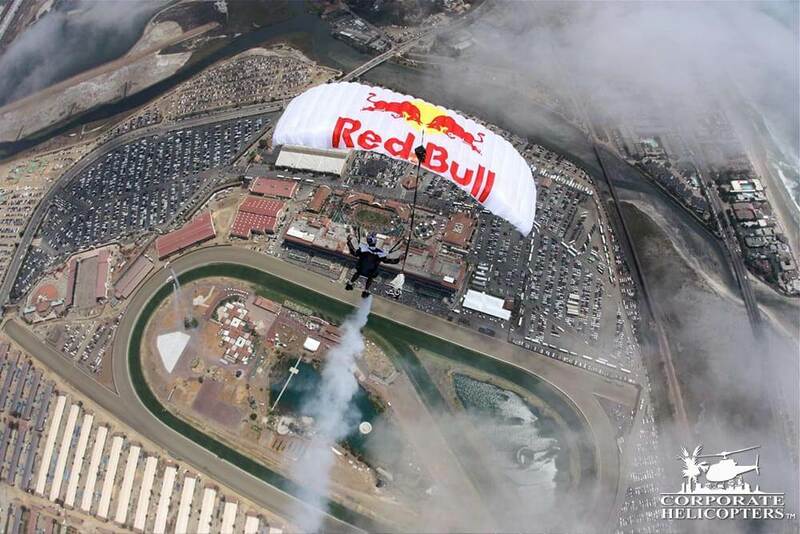 See some of the helicopter support we’ve provided for different racing sports, contests, stunts & events.